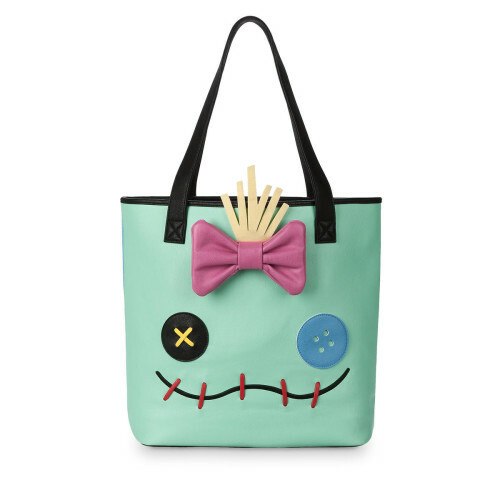 Lilo’s Besties for the Resties, right on one tote! Ohana means nobody gets left behind or forgotten…especially when you’re dragging them around on your tote bag. We love that Lilo’s two besties, Stitch and Scrump, are right there by her side and beside her lip gloss and hula skirt, which she has shoved into this adorable bag with Scrump on one side and Stitch on the other! Looking for more of what we consider to be the BEST in Disney Handbags? Check out our Gift Guide and our Accessories Page! I love Scrump so much, I think this is going on my Christmas list.